, a very eminent and learned puritan divine, was descended from the royal family of England. 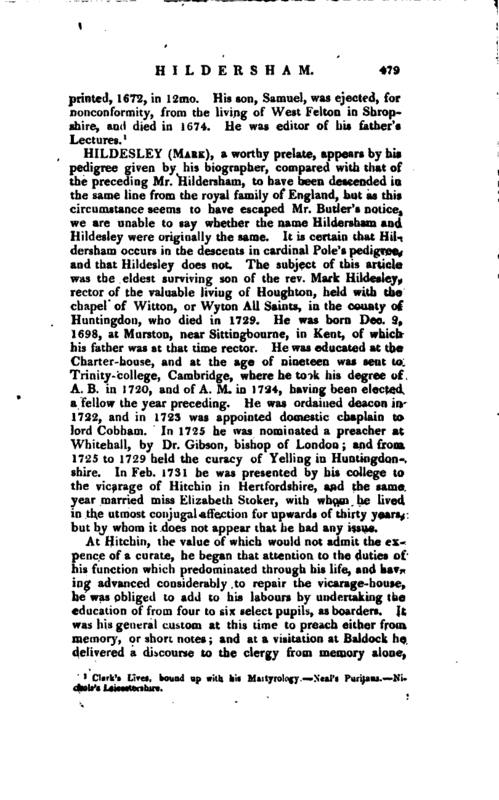 He was the son of Thomas Hildersham, a gentleman of an ancient family, by Anne Pole (or Poole), his second wife, daughter to sir JefTery Pole, fourth son of sir Richard Pole, cousin-german to Henry VII. This sir Richard Pole’s wife was Margaret countess of Salisbury, daughter to George duke of Clarence, second brother to king Edward IV. by Isabella, eldest daughter and co-heiress of Richard earl of Warwick and Salisbury. 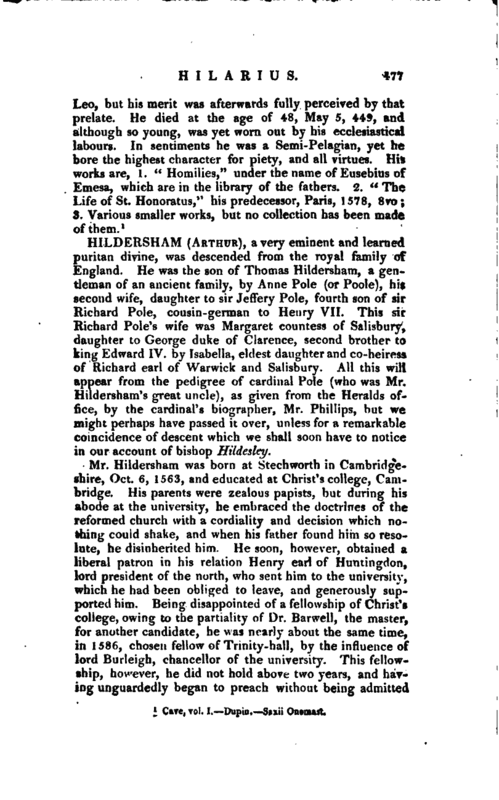 All this will appear from the pedigree of cardinal Pole (who was Mr. Hildersham’s great uncle), as given from* the Heralds office, by the cardinal’s biographer, Mr. Phillips, but we might perhaps have passed it over, unless for a remarkable coincidence of descent which we shall soon have to notice in our account of bishop Hildesley. 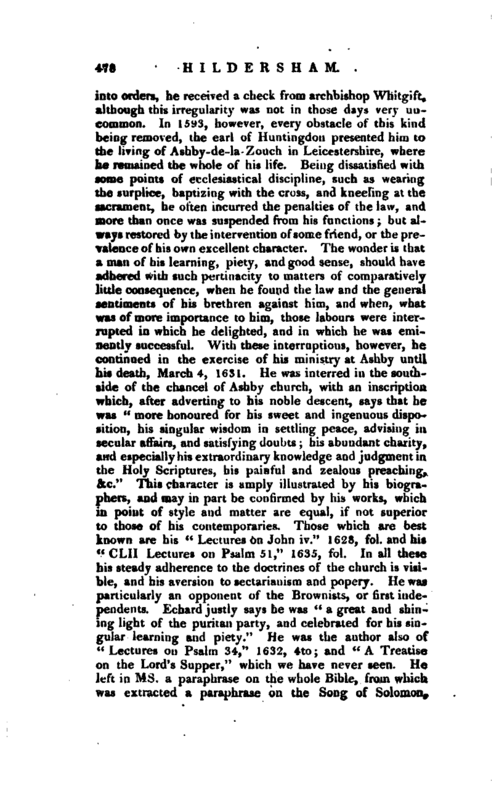 1 Clark’s Lives, bound up with his Martyrology. Neal’s Puritans. Nichols’s Leicestershire.